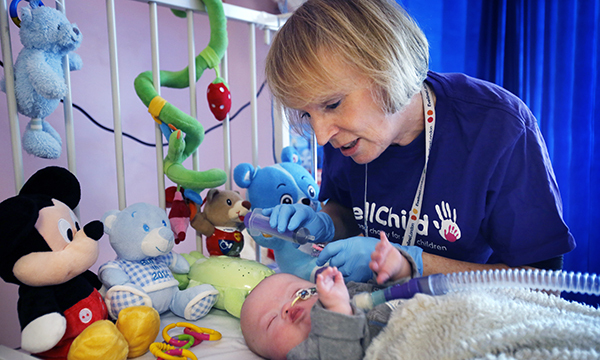 Children’s charity WellChild says demand for access to its network of children’s nurses has risen nearly 40% this year. WellChild, which helps seriously ill children to be cared for at home instead of in hospital, says pressures on NHS and social care budgets, coupled with a workforce shortage, means patients are in danger of being failed. The charity currently funds 35 nurses across the UK who provide a link between hospitals and the community. It says in a report titled Impact that these 35 nurses helped care for 1,237 patients in 2016-17, up 37% from 902 in 2015-16. The report also shows an 82% increase in applications for its Helping Hands scheme to 180 in 2016-17, up from 99 in 2015-16. It was only able to fulfil 36 of them. The Helping Hands scheme aims to make family homes safer and more accessible for children once they are discharged from hospital, such as installing special beds or wheelchair ramps. WellChild chief executive Colin Dyer said: ‘We know that many children and young people with medically complex needs will spend months, sometimes years, in hospital simply because there is no support enabling them to leave. ‘Then, once families are together at home, their ability to access the round the clock care required to keep their children safe and prevent unnecessary hospital readmissions is constantly challenged by inconsistent and inadequate levels of support. The WellChild report follows a warning from the Royal College of Paediatrics and Child Health that children's health is at risk due to a shortage of children's nurses and doctors.